Timetable @ Ten Days to Go! In ten days the Ucheldre Centre will host TEDxHolyhead 2017. The theme is ‘SPARKLE’ and we’ve got some amazing speakers talking about mental health, well-being and how to ‘SPARKLE’ even in the darkest of times. In fact you’ll probably leave TEDxHolyhead realising that we need the darkness to experience the light. 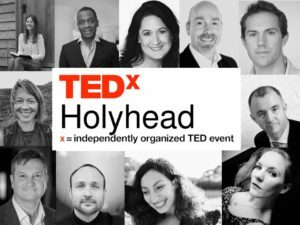 A truly international set of speakers, and as usual TEDxHolyhead is punching above it’s weight in terms of calibre of speakers.